Keeping your windows sparkling clean will not only improve the overall appearance of your home, but it will also keep your windows in top shape so that they continue to offer the protection your home needs. Rotting and warped windows will let in drafts and send your energy costs through the roof. Flaking paint, mold and rot around the frame will make your house look old and dirty, bringing down its curb appeal. Window washing is a deceptively job. It seems simple, but it can actually be quite complicated. You'll need to hire professionals to make sure that every nook and cranny of your windows is cleaned -- even on those second- and third-story windows. The job should also include the complete frame. Buildup of dirt and debris can contribute to the breakdown of the caulk and sealant on the frame, so cleaning it will improve longevity. If you have wooden windows, an important part of your spring cleaning should include re-painting or re-sealing the frame. Otherwise, the paint will flake or the seal will wear away, and the frame will rot and warp. Maintaining the seal will protect the frame's appearance and its strength. You may need to perform this maintenance if you have aluminum windows, as well, since the frame can rust if it is not sealed. Of course, you can avoid all that maintenance if you just install vinyl windows instead. Vinyl windows don't have to be painted, sealed or treated. They resist water damage so they don't rot or warp. The only thing you need to do to clean them is to wash the glass. Not only will vinyl windows lower your maintenance costs, but they will also lower your energy bills. That will be a welcome change when the temperatures start to warm and you turn up the air conditioner. Make your spring cleaning as easy as it can be by installing vinyl windows instead of scraping away at your old, rotting windows. You'll lower your maintenance costs and improve the value of your home. 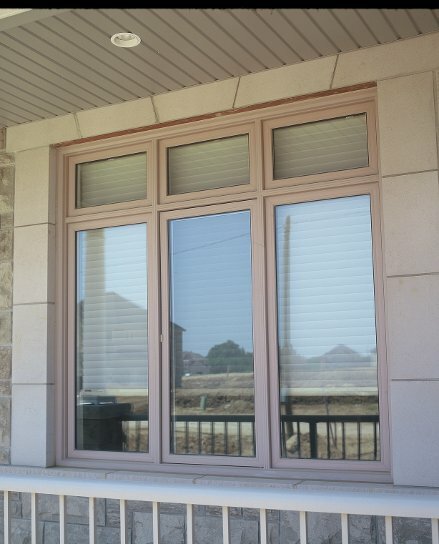 Click here to find an assortment of the best windows in Mississauga for the best deal.